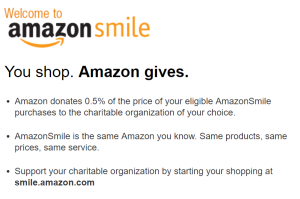 Did you know that every time you shop on Amazon, you can donate a portion of your purchase to Learn 2 Fish With Us? If you already have an Amazon account, you can login using the same username and password. If you are new to using Amazon, you’ll need to follow the steps to set-up your account. Once logged in, you can select the charity you wish to support in Your Account, or you can change the charity you support by clicking on the organization below the search bar. In your account, search for Learn 2 Fish With Us Inc and click select. Then, just shop as you normally would on Amazon, and a portion of your proceeds will go to Learn 2 Fish. It’s as easy as that!